Here are 5 of the most badass nuns in Philippine history who displayed extraordinary courage and proved to the world that there is more to being a nun than meets the eye. 5. Marta de San Bernardo. 4. Sister Paz San Buenaventura. 3. Sister Asuncion Martinez, ICM. 2. Sister Eva Fidela Maamo. 1. Sor Asuncion Ventura, DC. 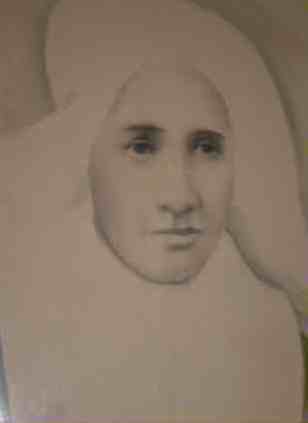 A list of pioneer nuns won’t be complete without the Filipina who started it all: Marta de San Bernardo, a pride of Pampanga and the first Filipina Catholic nun in history. Due to the existing prejudices on race and gender in the 17th-century Philippines, any indio who aspires to enter the monastery was considered hallucinating. But as fate would have it, Marta de San Bernardo shattered all the barriers. 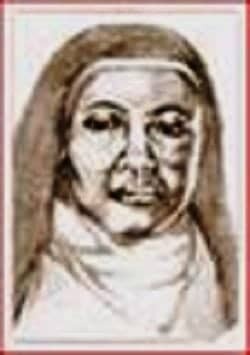 A Spanish-speaking Filipina who came from an affluent family, Marta, as told by a Franciscan chronicler, “was so influential a woman and so noble and virtuous that all the convent urgently requested that she be conferred the novitiate habit.” In 1633, she gained the support of the Spanish nuns from the Royal Monastery of Santa Clara in Intramuros, Manila. However, the overwhelming support didn’t dissolve the existing prohibition, and so the Franciscan Provincial still barred her from entering the monastery for the simple reason that she was an indio. In the same year, Marta decided to join a group of Spanish Clares in a voyage to Macao where they would establish a monastery. It was during this journey when Marta finally received the habit of Poor Clares. The investiture happened on the sea where she was outside the discriminating laws of the Philippines. 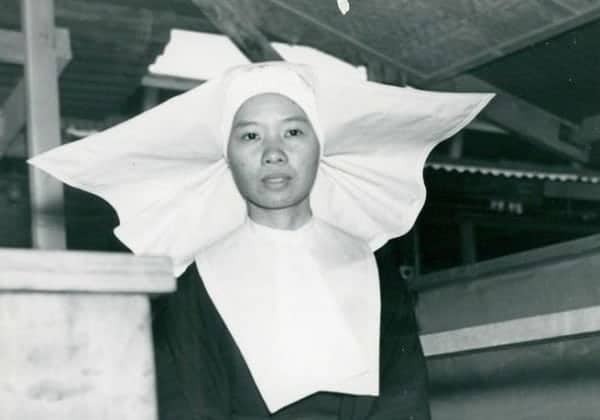 Upon arriving in Macao, Marta took her vows and officially became the first Filipino nun, paving the way for other succeeding Filipinas to not only enter monasteries but also open their own religious congregations. Photo by Dave Davis, ACME correspondent. November 30, 1945. Living through a dark era that was WWII is one thing, but witnessing an actual cold-blooded murder perpetrated by the Japanese is another. 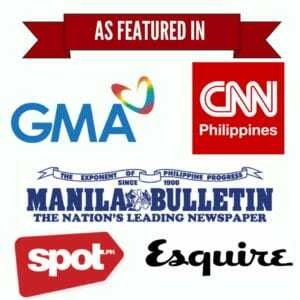 Paz San Buenaventura of Cebu City experienced both–and she was a nun. On March 26, 1945, Sister Paz saw how two American airmen and five Filipino prisoners were tortured and beheaded by the Japanese, specifically Lt. Col. Isamu Morimoto. During the Liberation, she didn’t think twice to tell the truth so the seven slain men would be given justice. Mustering all courage, Sister Paz became the first witness called by the prosecution to testify against the involved Japanese officials. The said trial was held in the same building where Gen. Tomoyuki Yamashita was being tried. Thanks to her testimony, Lt. Col. Isamu Morimoto along with Capt. Kasatoro Tsuruyama were convicted of the crime and sentenced to be hanged in 1946. Other Japanese officials who met the same verdict were Tsunau Toyagana, former military police lieutenant colonel who was held responsible for the deaths of 500 prisoners at Fort Santiago, and Ens. Kagajiro Mukai, head of a naval raiding party that killed 50 Filipinos in Davao. Born Esther Martinez, Sister Ason, as she was fondly called, joined the Missionary Sisters of the Immaculate Heart of Mary (ICM) and adopted her new name in 1937. She started her career as a teacher, becoming ICM’s first Filipina superior in 1950, and the first Filipina provincial councilor from 1959 to 1969. Sr. Ason was almost 60 years old when she responded to Vatican II’s call to establish a “church of the poor.” From her comfort zone in the academic setting, she shifted to community work and went to Iloilo to live among sugar workers. A founding member of the Rural Missionaries of the Philippines, Sr. Ason also worked with the National Federation of Sugar Workers (NFSW) and the National Federation of Free Farmers (FFF). 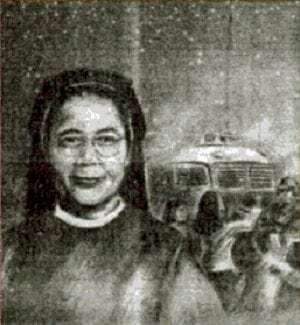 After the declaration of martial law, Sr. Ason returned to Manila to look after the urban poor. She also became friends with the casual workers at the La Tondeña Distillery who, in 1975, held a labor strike in hopes of gaining permanent working status. Although there was a martial law decree prohibiting labor strikes at that time, the La Tondeña employees refused to be defeated and let everybody know that martial law could be opposed. Sr. Ason retired in 1983 and died of natural causes in 1994. For her dedication in upholding the rights of the poor, her name was inscribed on the Wall of Remembrance of the Bantayog ng mga Bayani in 2009. Dubbed as the “Healing Nun,” Eva Fidela Maamo is both a nun and a surgeon. She studied medicine at the Velez College of Medicine (now Cebu Institute of Medicine) and had her training at several prestigious schools here and abroad. 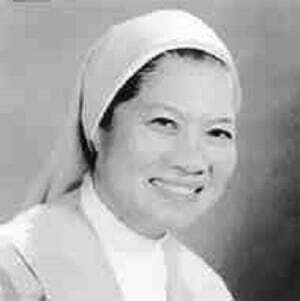 For three years, Sr. Eva practiced at a family-owned clinic in Liloan, Southern Leyte before she joined the Sisters of Saint Paul of Chartres in 1969. After she became a nun, Sr. Eva still continued her medical missions, going as far as remote areas to serve the indigenous tribes. As a doctor, her most unforgettable experience happened one night in 1974. The wife of a T’boli datu in Lake Sebu, South Cotabato was bleeding heavily after her ovarian cyst had ruptured. An emergency operation was needed, but to get to the nearest hospital would require them to cross several rivers. Sr. Eva had to think fast. The woman was immediately brought to a bamboo table inside the parish convent. Armed with the most basic of equipment (a knife, a flashlight, and 15 cc of local anesthetic), Sr. Eva performed the emergency surgery inside a mosquito net as the place was full of insects. The woman was saved, but Sr. Eva’s life-long mission didn’t stop there. She trained several tribesmen to become “barefoot doctors” who would continue her mission. In Manila, she established the Foundation of Our Lady of Peace Mission (FOLPM) which helped poor communities by providing them with scholarships, free medical services, feeding programs, and livelihood assistance. She also helped build the Our Lady of Peace Hospital, a 4-story charity hospital located within the Bahay Pangarap complex in Parañaque City. For her untiring efforts in serving both as a nun and doctor, Sr. Eva received the prestigious Ramon Magsaysay Award in 1997. She was also the recipient of the Mother Theresa Award (1992), Outstanding Woman of the 21st Century (2002), and International Peace Prize (2003). Born to a wealthy family in Bacolor, Pampanga, Cristina Ventura Hocorma grew up with deep concern in the welfare of the poor. She was sent to study at the Colegio de la Concordia de Manila, an exclusive girls’ school managed by the Daughters of Charity. The school not only enriched their spirituality but also opened their eyes to the plight of poor Filipinos. The young Cristina was so inspired by the mission of the Daughters of Charity of St. Vincent de Paul that she considered joining the sisterhood–a decision that was strongly objected by her parents. It was only when her parents died that Cristina finally fulfilled her dream of becoming a nun. On March 19, 1875, she officially received the habit of the Daughters of Charity and adopted a new name: Sor Asuncion Ventura, D.C. Upon receiving her share of inheritance from her family, she authorized it to be transferred to the Congregation of the Daughters of Charity. She used the money to build Casa de San Vicente de Paul (now Asilo de San Vicente de Paul) in 1885, making her the first Filipina in history to establish an orphanage. Before she died on November 22, 1923, Sor Asuncion left a last will and testament requesting her family to continue what she had started. Santiago, L. (2001). The Admission of the Filipinas to the Monastery of Santa Clara in the 19th Century (1807-1898). Philippine Quarterly Of Culture And Society, 29(3/4), 284-295.